An evening about writing about art writing. 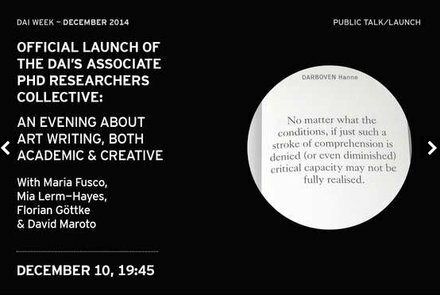 A performative reading at the Dutch Art Institute to launch their new Associate PhD Researcher Collective. With Mia Lerm-Hayes, Florian Gotte and Davuid Maroto.